The Shetland Sheepdog is a smart and sensitive breed that can make a great loyal companion to the right owner or family. Since they are instinctively wary of strangers, this miniature Collie lookalike also make excellent guard dogs. Shelties are notorious for pancreatitis and gallbladder disease. So to combat this, Shelties need to be fed a diet with mid-protein (in the 20's) and low fat (around 10%) to remain healthy and thrive in their old age. Owners shouldn’t be surprised to find that the Sheltie is sensitive to many foods and you might have to test out a few until you find the right one for your pup. With that in mind, we've done the research for your Sheltie. Check out our recommendation for the best foods to feed that contain no Chinese ingredients, quality ingredients and the right numbers for long term feeding. Obedient, energetic, smart and loyal. Progressive retinal atrophy, canine hip dysplasia, hyperthyroidism, Van Willebrand Disease, Sheltie Skin Syndrome, and Collie Eye Anomaly. Shetland Sheepdogs look a lot like miniature Border Collies, remind people of the popular dog Lassie. Shetland Sheepdogs are a unique small breed all their own, originally coming from the Shetland Islands located North of Scotland. The breed eventually became popular as herders in Europe. The size of a Sheltie (at the withers) is about 14-16 inches(males) and 13-15 inches(females). The weight of most males is about 16-20 pounds while most females are about 14-18 pounds, slightly smaller. Shelties have a reputation as vocal dogs, but that might be undeserved. Ill-bred dogs often display a terrier-like personality–hyper and yappy, always on the go–but can just as easily be overly timid and may become a fear-biter. The intelligent Sheltie can be trained to be an excellent watch dog, and not yappy, giving two or three barks to alert its owner to a person at the door. Unlike some dog breeds, males and females make equally good pets. The main difference is that males tend to have more impressive coats, and unspayed females will ‘blow’ coat after every heat cycle. Males should appear masculine, females feminine. What food to feed and how much to feed a Sheltie? Shelties should be fed a fresh diet which includes meat and vegetables. 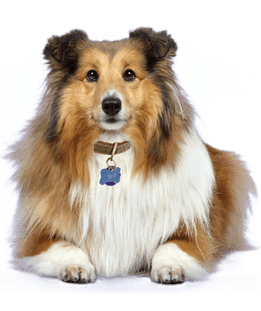 Going with dry dog food is okay but owners should be aware that Shelties suffer from grain allergies and have sensitive stomachs. Sheltie owners should make sure that the food they buy promises balanced nutrition and avoid buying cheaper brands that will lead to health problems for this breed. 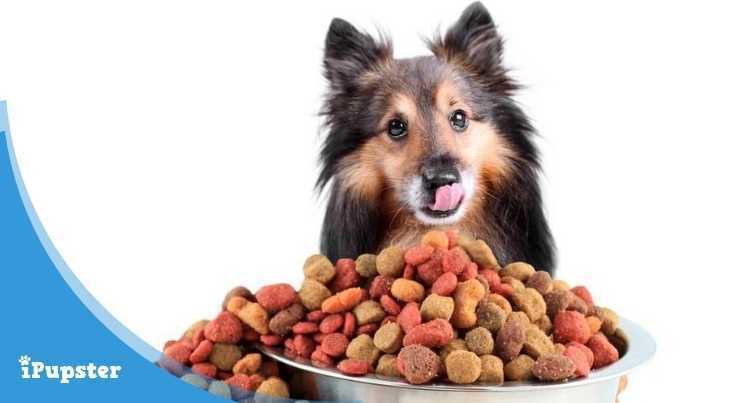 Trusted dry dog food blends like T﻿﻿aste of the Wild, Blue Buffalo and Merrick Grain-Free are a few hypoallergenic food options that offer holistic nutrition that can often make a big difference for sensitive breeds like Shelties. When deciding how to feed your Shelty, it's best to consult the instructions on your dog’s food and go from there. Since Shelties are a smaller breed they can be fed one meal during the day or smaller meals if owners find that it's better for their sensitive stomachs. Shelties, like any other dog breed, should be fed per their weight and activity levels. Measure out your Sheltie’s food and leave it out only at mealtimes so your dog doesn’t become overweight and unhealthy. You should be flexible, yet still be aware of the importance of feeding your pet on a schedule. Small adjustments might need to be made as a dog gets older and their energy levels slowly begin to decrease. Progressive Retinal Atrophy: PRA can not be detected until later in life, as it is a “progressive” disease. Affected dogs often begin with night vision problems, progressing to loss of day vision and total blindness. Currently, there is no treatment for either disease. This degenerative disease that results in blindness, and doesn’t start with symptoms like redness or itchiness that are common with other eye problems. Owners might notice a shift in their dog’s behaviour like not wanting to go down stairs or losing their way in the dark, instead. Dog food with natural ingredients like carrots, broccoli, and sweet potatoes are good for a Sheltie’s eye health, so owners can try to include those in their dogs’ diet. Hip Dysplasia: an inherited disorder that results in improper hip joint development and eventual loss of functioning in the hip joints. This disease is common in large dogs and can be helped by managing a dog’s weight. Ingredients like glucosamine and chondroitin included in a healthy diet can help promote a dogs’ joint health. Sheltie Skin Syndrome: Many Shelties suffer from skin problems that can start when they are less than a year old. This is an inherited disorder that can be made worse by extended exposure to UV rays. Some warning signs include red, scaly skin or facial hair loss. Owners who see these signs should take their Sheltie to the vet. One way to prevent skin issues in Shelties is by feeding them a diet that contains fatty acids and Vitamin E.
Sheltie Eye Syndrome: Collie Eye or SES is an inherited disorder that affects a Collie or Sheltie’s eye development in the womb. SES can be detected in young puppies by a certified ophthalmologist. The disease involves all three layers of the posterior eyeball. Mild SES can result in a blind spot, while severe cases will lead to complete blindness. When obtaining a Sheltie, owners should be aware of whether there are any signs of eye problems in their dog or in its parents. Each individual puppy should have his eyes examined by a qualified veterinary ophthalmologist. As with all dog breeds, diet should be monitored and adjusted as needed as many nonworking Shelties can overeat and easily become obese. 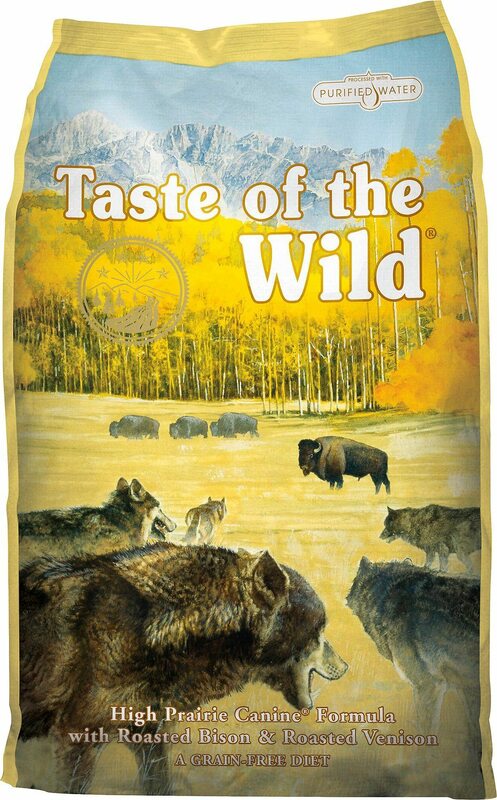 Taste of the Wild (TOTW) is a grain-free dry dog food brand that is a great option for dogs with allergies and sensitivities to other dog foods. This blend is made with real lean bison and venison as its source of protein to supply dogs with the energy they need to live an active life. The meat in this recipe is even roasted to add more flavor! Taste of the Wild dry dog food is supplemented with fruits, vegetables, and natural antioxidants to make sure that dogs are maintaining healthy immune systems. Pet parents have seen noticeable changes in their dogs after switching to Taste of the Wild from other brands of dry kibble from improvements in their coat and skin to an increase in appetite and energy levels. Picky dogs love it, plus helps relieve allergy symptoms, and helps get rid of digestive problems. Owners love that this recipe is made with healthy ingredients first, like real meat, berries, sweet potato, peas, and tomatoes, is made in the USA, with only 370 kcal/cup. We think this is a very good food for many dogs, including Shelties. Blue Buffalo is a holistic dog food brand that focuses on dogs’ complete health and only uses the best ingredients. 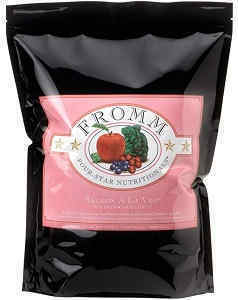 Each bag is made with real meat, wholesome whole grains, fruits, and vegetables. 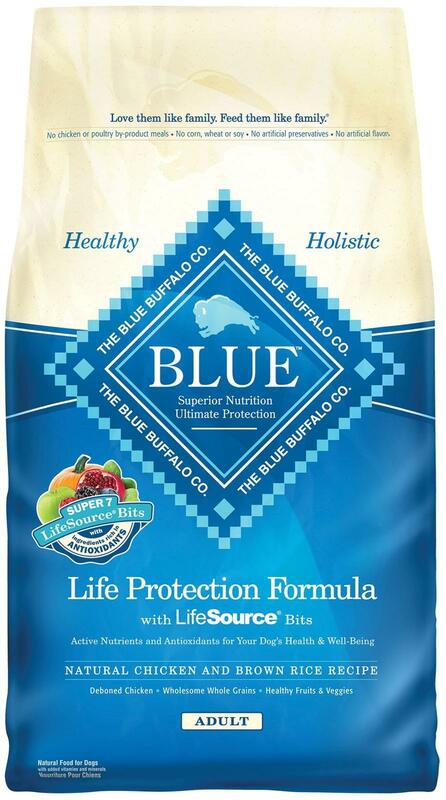 Blue Buffalo Life Protection is also fortified with exclusive LifeSource Bits, a special blend of antioxidants, vitamins, and minerals that is approved by vets and pet nutritionists. Some of the wholesome ingredients featured in this formula are lamb, brown rice, carrots, spinach, pumpkin, pomegranate, apples and blueberries. This recipe contains 24.0% protein and 14% crude fat, with 378 kcal/cup. It is free from corn, wheat and soy. Dogs raised on Blue Buffalo are lean, muscular, healthy, and happy. Some owners who switched their dogs to this brand after having trouble with other dry dog foods have noticed significant improvements in their dogs’ stool quality, as well as their skin and coat health. Even picky dogs seem to love this blend. Blue Buffalo is made with all the ingredients needed to give dogs more energy and help them maintain a healthy weight. Another advantage is that this formula contains a precise ratio of calcium and phosphorus to promote strong bones and to protect your Shelties' teeth. There are also fresh fruits and vegetables for nutritional balance. 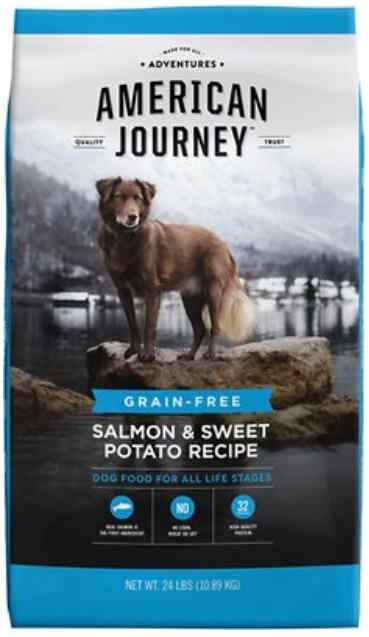 Taste of the Wild and Blue Buffalo are great, trusted dog food brands that focus on giving dogs the complete nutrition they need to be the best that they can be. These recipes use meat as the first ingredients, supplemented with healthy whole fruits and veggies as well as the essential vitamins, minerals and amino acids to ensure your Sheltie leads a healthy and long life.